The American Health Council is proud to appoint Gary Huber, DO, President of Huber Personalized Medicine, as a “Leader in Medicine”. With 30 years in the healthcare industry, including 3.5 years in his present role, Dr. Huber brings to the American Health Council a wealth of skills and expertise in General & Integrative Medicine. 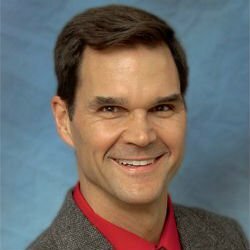 Earning his DO in Integrative Medicine from Ohio University College of Osteopathic Medicine (1987), Dr. Huber became involved in his current profession due to his love for the sciences, along with a natural curiosity for human physiology and function. He attributes his continuous success to an infinite curiosity – being openly accepting and always asking one simple question: “Why?”. Dr. Huber’s self-practice specializing in numerous products and services, including Integrative Medicine, Hormone Balancing, Biotoxin & Lyme Treatment, Adrenal & Thyroid Optimization, Weight Loss, and Metabolic Syndrome Reversal. He engages in day to day responsibilities, consisting of advancing his patents’ health through lifestyle changes. According to Dr. Huber, his practice was established to provide his patients with personalized Integrative Medicine, checking their entire genetic profile to guarantee the best in natural therapy and a better path to overall health. Dr. Huber also teaches medical concepts of Integrative Medicine to other physicians through weekly webinars and monthly live events. Additionally, he also develops Corporate Health programs to address a broad audience interested in the field(s) of Medicine. Dr. Huber has been garnered with a Leadership Award, and is professionally associated with the Metabolic Medical Institute, the American Osteopathic Association, and the American Academy of Anti-Aging Medicine. Within the next five years, Dr. Huber is looking forward to refining the process of Biotoxin and Lyme Disease treatments, along with championing the role of healthy hormonal balance within everyone’s unique physiology. He also wants to expand doctors’ understanding of Integrative Medicine using his website as a resource for education across the country. In his spare time, Dr. Huber enjoys the outdoors, cycling, and exercising. He donates charitable time to Loveland’s Amazing Race. Based in Cincinnati, Ohio, Huber Personalized Medicine prides itself on assessing all the factors of your daily existence that impact the way you feel and design a personalized treatment plan to restore your body’s function based on the most current scientific medical literature. The focus behind personalized medicine is to pursue optimal health which leads to boundless energy, restful sleep, greater movement, disease resistance and much more.